Our Local SEO Strategy Guide - How To Improve Your Rankings Online. With more consumers than ever before using the internet and mobile devices to search for local businesses to visit, these companies must turn to online search engine optimization (SEO) methods to attract the type of audience they need to succeed. Local SEO is a hot topic for 2018 and beyond as an ever-increasing stream of people leave their at-home desktop computers for the ease and convenience of smartphones and mobile connections. To grab attention and convince your target audience to buy your products or hire you for a service, your local SEO has to be on point. Online marketers know search engine optimization is a complex process involving keyword selection and proper use, content creation, link building, and more. Local SEO does the same things, but with a location-specific focus. This can be as simple as including your city or town name in the long tail keyword such as using discount car insurance in Boston instead of just discount car insurance. Proper keyword phrase usage is just the tip of the optimization iceberg, however. Local SEO methods are designed to not only attract searchers to your website or other online pages. They also boost brand recognition, encourage consumer feedback to facilitate word-of-mouth advertising, and help you push your products, services, and customer handling prowess into the forefront. All of these things meld together with the type of personal attention you give customers and clients who walk into your shop or office. If you want to achieve top positions above the competition in your neighborhood, city, or even state, your local SEO strategy must be on point. These steps will give your company the boost it needs to succeed. They are not one-time tasks, however. Once you get to the top of the search engine results pages (SERPs), you have to launch an ongoing optimization campaign to stay there. If a person wants to order pizza or hire someone to fix their washing machine, they will search for “pizza in Smithville” or “best plumber in Philadelphia” instead of a more general search for those products or services. Not only should you use these types of terms on your page, do not forget about the power of PPC advertising. Local pay-per-click can boost the number of people you have coming to your site. Since you need to outrank the competition to claim those coveted top spots on result pages, doing what they do to market their businesses makes sense. You just need to do it better. Part of a local backlinking strategy is creating what is known as touchpoints. These are specific web pages that contain information and a link to your company website or other owned pages. Google loves to find local citations for brick-and-mortar businesses, so it makes sense for you to get as many top-quality ones as possible. These can include Yelp, Angie's List, the BBB, YellowPages, and more. Google My Business pages are obviously loved by the Google search engine as well. Claim your business listing and fill out all the pertinent information accurately. 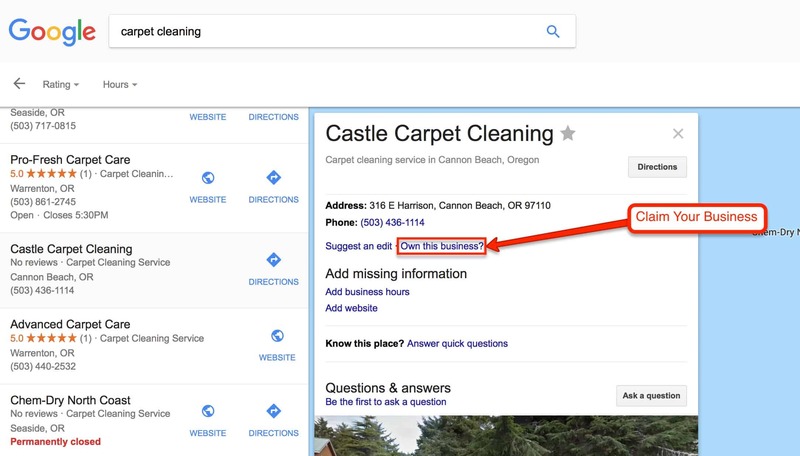 If you do a search for your business and there is already a listing for it in Google maps as pictured above, make sure that you have claimed your listing before someone else does! GMB listings are crucially important for local businesses as many people use these alone to find things they are looking for in search engine results. This is probably the one biggest factor you can do for your business online. Although GMB is the most important listing, you should also claim the other big listings like Bing Places for Business. As you make your presence known on these My Business pages and other places around the internet, there is one essential rule to follow for SEO. Fail to do this, and your rankings could suffer. Keep NAP consistent. What is NAP? 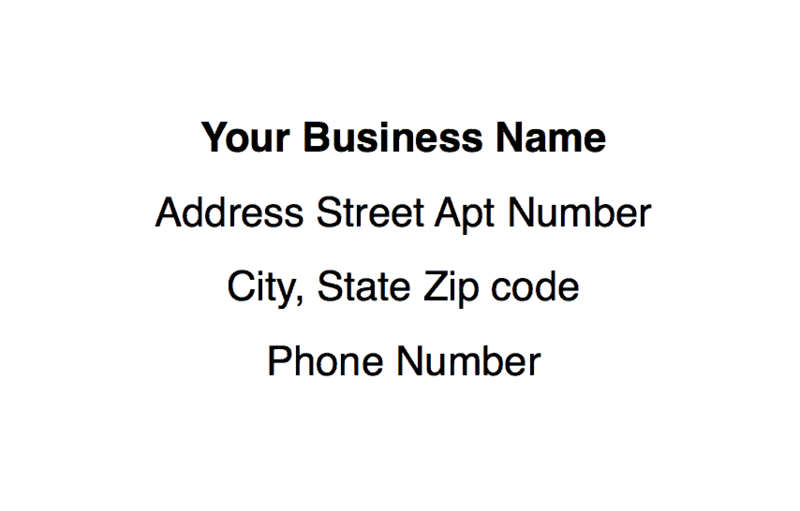 This abbreviation simply stands for name, address, and phone number. It is the official information you use to identify your company. If you fail to have the exact same format everywhere you appear online, Google and other search engines may find your listings suspect and rank you down lower. Every customer or client you do business with can provide a boost to your overall SEO strategy if they leave a review, recommendation, or a comment online. Search engines value social proof of your company's quality. Never pay for reviews in any way, even with incentives or freebies. Instead, encourage satisfied customers to share their experience with others. Good review sites to target include Google+ Local, Yelp, and FourSquare. Getting great social media comments and shares helps too. Even negative reviews can affect your search engine optimization. However, you do not want a bad comment floating to the top of the rankings. Practice positive customer service by responding to and solving the customer's complaint. The majority of people access the internet from smartphones and other mobile devices these days, and search engines adopted rules in their algorithms to focus on this trend. Not only does your website have to have responsive styling, but load times on mobile devices should be as fast as possible. Google promotes accelerated mobile pages (AMPs) over those with long load times. To make sure your site is up to today's standards, Google offers a free mobile friend test to use. Having a quick website has been important since the beginning of the online world, though the recommended speeds have increased drastically since then. When searches try to find a local business that suits their needs, they often turn to Google Maps to get directions. Website owners who want to optimize for local SEO can embed appropriate Google Map sections in their pages. 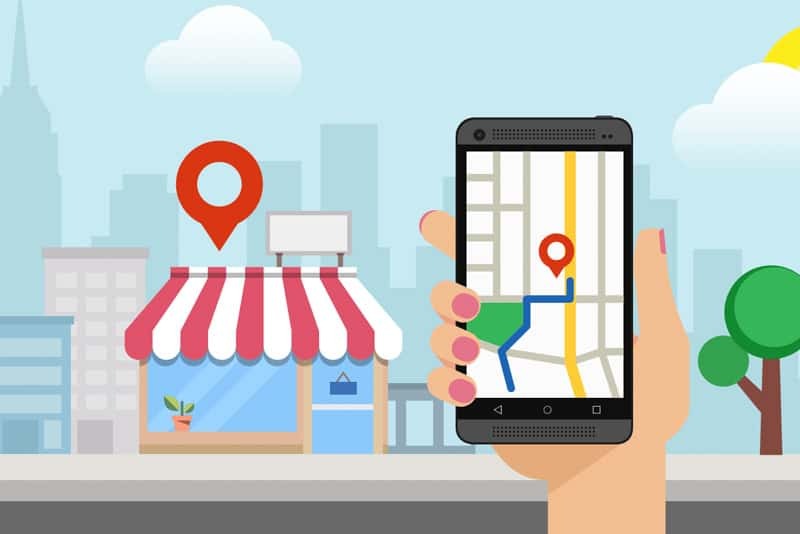 Customers and clients will appreciate the convenience of seeing exactly where your locations are and Google will use the maps to boost your listings in conjunction with nearby locations. Earlier steps in this local SEO strategy guide for 2018 share various websites you can list your website on such as Google My Business, Yelp, YellowPages, and more. These are all a part of the important optimization task of building backlinks, but they are not the only places it should occur. High authority sites with high search engine placement of their own remain a powerful opportunity to boost your own company recognition factor. Target both popular websites that match your industry or niche online, but do not forget the power of location-specific sites as well. Local or city news is one opportunity. Any event you hold, support, or sponsor from your brick-and-mortar business is worthy of a mention on a news website or in a local online community. Many cities and towns have their own social media pages that may allow links and information like this. If you know some HTML, you can add an important extra called schema markup to the inner workings of your website. Of course, you can hire someone to help with this or use one of the online generators. Schema markup is a type of code that gives more detailed information about the type of content on a website. It allows Google to get a more specific picture of where your site should rank for certain things. Here is a free Schema Generator that you can use for your local business. Also, to make sure you don't have any schema issues with your code, be sure to use Google's Structured Data Tool to test everything. Businesses with real-world shops, offices, restaurants, or other physical locations need to utilize the power of the internet if they want to attract the attention of today's consumer base. With the best local SEO strategy guide, you can rank high for geo-specific keywords, encourage more reviews and recommendations, and get the word out about your products and services more easily. We really hope that our list provided you with some great inexpensive marketing ideas for small business. In 2018 and beyond, a friendly smile and a handshake after a positive transaction in your neighborhood may start with a virtual click. Effective local SEO makes it all possible. Everything you have read in this guide is what we used to rank our local Portland SEO company so we aren't just saying it works, we have done it! Our Local SEO Strategy Guide - How To Improve Your Rankings Online. Overall rating:	5	out of 5 based on 48	reviews.